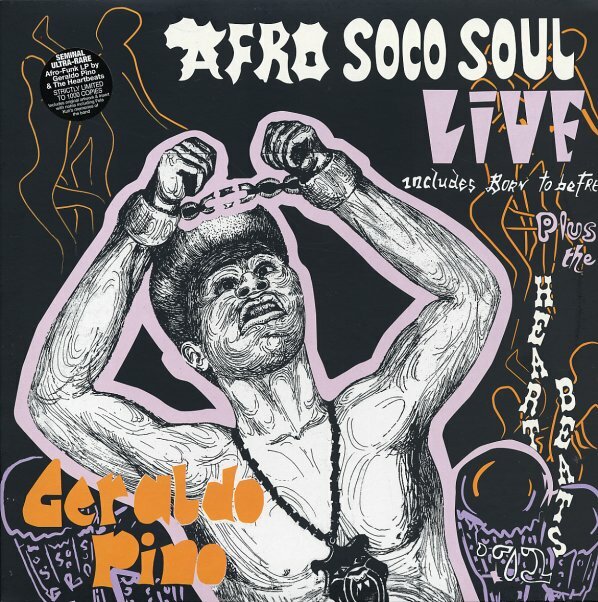 A blistering batch of live tracks from the amazing Geraldo Pino – super-tight Afro Funk with a groove to rival some of James Brown's funkiest work! Pino clearly takes a lot of cues from The Godfather in the way he leads the band – working with an MC who starts the set and calls him to the stage, then belting out the lyrics in a voice that may not be as screechingly soulful as James, but which has the same sort of punch and hard-bitten political undercurrent! The instrumentation includes lots of heavy percussion, fast-riffing guitar, and this great electric piano that's thin, but very cool – almost giving a spacey sound to the heavier funk at the bottom of the tunes! Tracks include "Blackman Was Born To Be Free", "Man Pass Main, Iron De Cut Iron", "Right In The Centre", "On The Spot", "Woman Experience", and "Afro Soco Soul Live". © 1996-2019, Dusty Groove, Inc.